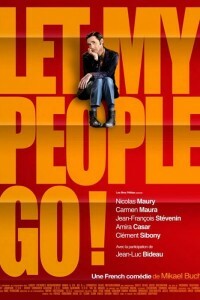 In the movie Let My People Go, at Passover, Reuben, a Jewish French man living in Finland with his Nordic boyfriend, finds himself back in Paris with his zany family after a lovers quarrel. A gang of escaping jewellery thieves get trapped by a coven of witches. |.